It’s been almost a year when the three of us were together. I think the last time we had coffee together was August of last year, before I went home to the mountain city to give birth. I’m not sure if I got a copy of the photo of that day. I stayed in Baguio from late August to start of October, then came back to the mountain city with my little Z and stayed here until December. Whereas, RB was still pregnant and working until early December, I think. Given that I became a Mom and RB was an expectant Mom, there was no more time to hang out like we used to. So it was really fun having lunch with these guys earlier. 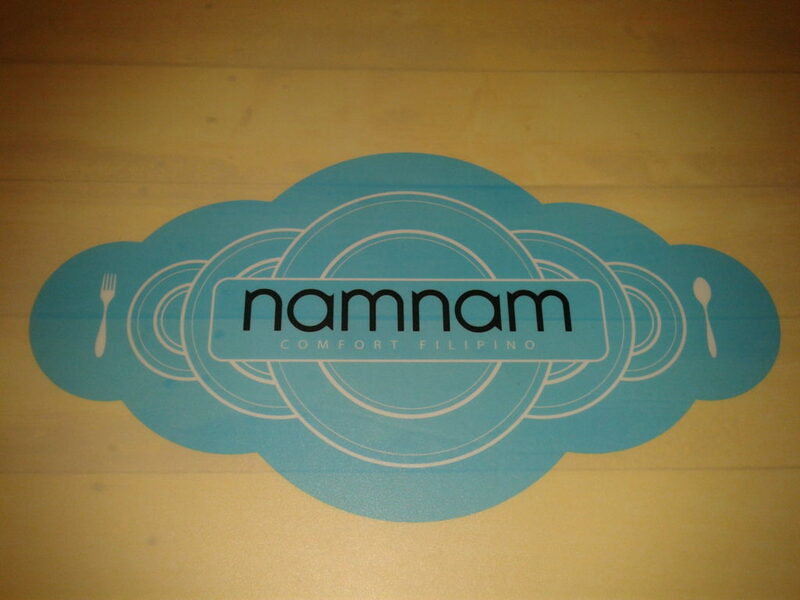 We had lunch at Namnam in Greenbelt 2, Makati. RB and Francis work in Makati so I was outnumbered, so to speak. Hahaha! The place was suggested by Francis (since he has been visiting food places for quite a while now). The place was full given that it was lunch time so it was good of him to have called ahead of time to make reservations. I liked their crispy pork belly. It was really crispy. 🙂 Their sinigang tasted great, too. You can really tell that they used real sampaloc because you can taste it and it blended well with the tomatoes. Yum! I didn’t really like their gising-gising. I was expecting that bite of chili but it wasn’t there. Service-wise, it was OK. It was actually better than a few restaurants I’ve been to. 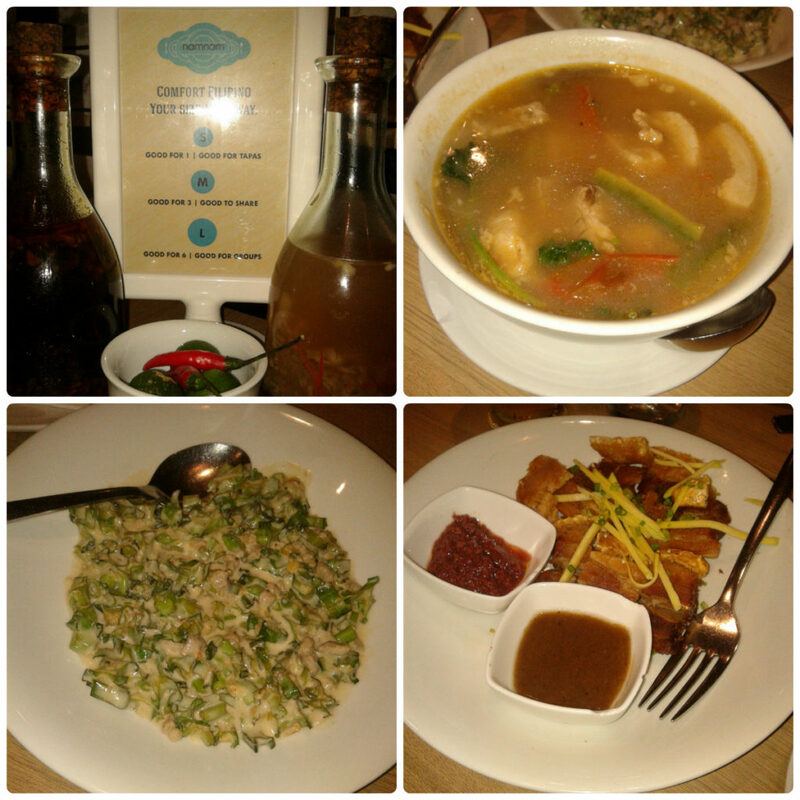 And since they have a nice ambience as well, I guess I could say that the service charge is justified. And the price of the food is reasonable, I would say. Would I come back to this place? I would definitely go back. It would be nice to enjoy some of their other offerings, too.